The United Nations Special Rapporteur on trafficking in persons, Joy Ngozi Ezeilo, called on the Government of Belize to adopt a comprehensive protection and assistance program for victims of trafficking, and entrench a culture of zero tolerance for corruption and complicity of public officials with traffickers. Belize is a country of destination, transit and, to a limited degree, also of origin, where trafficking disproportionately affects women who are mainly trafficked for sexual exploitation; particularly women from the neighboring countries of Guatemala, El Salvador and Honduras. There is also a growing problem of crimes against children, especially sexual exploitation of young girls from poor families through the ‘sugar daddy’ syndrome and the ‘fichería” phenomenon’ in bars, where men pay a higher price to drink with the girls (‘ficheras’), a practice identified as a gateway to prostitution. The Special Rapporteur welcomed Belize’s efforts at the international level, by ratifying the main international human rights treaties, as well as the Protocol to Prevent, Suppress and Punish Trafficking in Persons, especially women and children, which require States Parties to prevent, combat and protect the human rights of trafficked persons. At the National level, Belize has also adopted the 2013 Trafficking in Persons Prohibition Act, which lead to the establishment of the Anti-Trafficking in Persons Council. “The Anti-Trafficking in Persons Strategic Plan of Action 2012-2014, which was developed in cooperation with IOM, is a positive first step,” the expert said. However, Ms. Ezeilo expressed concerns about the capacity and the willingness to identify trafficked persons and potential victims of trafficking, especially those in mixed migration situation. “More worrisome is the rampant and indiscriminate criminalization of irregular migrants for irregular entry into Belize which contributes to driving the phenomenon of human trafficking further underground,” she stressed, noting that immigration officers routinely prosecute, convict and/or fine immigrants even before giving them an opportunity to tell their stories or be identified as trafficked persons or potential victims of trafficking. “The practice of criminalization of irregular immigrants is against international human rights standards and practices, especially given the inhumane conditions of detention and the absence of basic assistance including in establishing contacts with families, embassies and lawyers,” the UN Special Rapporteur pointed out. Ms. Ezeilo drew special attention to the fact that children under 18 years of age are also punished for breach of immigration laws and kept in prison since there is no separate facility for the detention of irregular migrants. “I met pregnant underage girls who may be potential victims of trafficking and are currently detained along with adults,” she said. “I am further concerned about the growing reports of child prostitution and sexual exploitation of girls in the tourism industry,” the expert noted. 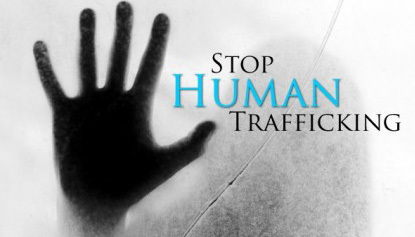 • To address the root causes of trafficking in persons including demand for services of trafficked persons. During her visit, Ms. Ezeilo met with Government officials in Belize City and Belmopan including from the Prime Minister’s office, the Special envoy for women and children, the Ministry of Foreign Affairs, the Chief Justice, the ministry of National Security, the Belize Police Department, the Ministry of Human Development, Social Transformation and Poverty Alleviation, the Ministry of Labor, Local Government, Rural Development, National Emergency Management, Immigration and National Services, as well as the Ministries of Health, Education and Tourism. She also held meetings with the Ombudsman and the Anti-Trafficking Council. The expert visited the KOLBE Prison where undocumented migrants are detained, and victims’ shelter. She also interacted with members of the civil society organizations and victims, including potential victims of trafficking. Ms. Ezeilo’s will present a comprehensive report with her final observations and recommendations to the UN Human Rights Council in June 2014.